AG Hair Cosmetics Volume Thikk Wash Volumizing Shampoo. 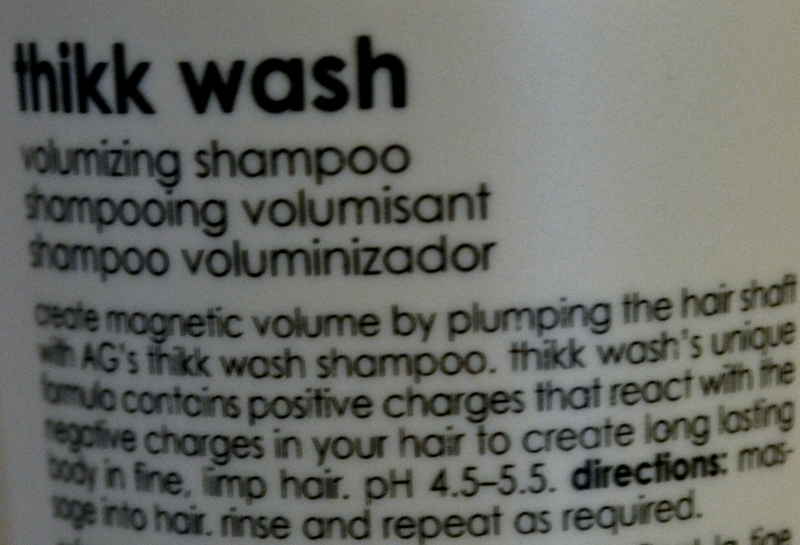 Create magnetic volume by plumping the hair shaft with AG's Thikk Wash shampoo. Thikk Wash's unique formula contains positive charges that react with the negative charges in your hair to create long lasting body in fine, limp hair. pH 4.5 - 5.5.